Gateway for all the devices on your home network to the world wide web. Control all data flow between computers, laptops, PDAs, game systems, Tivos, and other networked devices. Provides a Wireless Access Point (WAP) to your home (if wireless capable). Assigns local IP addresses to all network capable devices. Acts as a hardware firewall to help stop viruses and worms. Allows MAC address or IP address filtering. DMZ (Demilitarized Zone) is used to allow a single computer on the LAN to be exposed to the Internet. Useful for streaming video or controlling home automation. Allows you to set up a Virtual Private Network (VPN). Hub– is an older networking technology and is not recommended for use. A Hub is considered a dumb device as it does not know where to send data. Therefore, a Hub will send data to all networked devices, which is very inefficient as it bogs down bandwidth and speed. Furthermore, other computers can’t send data while one computer is broadcasting. Switch – is a lot smarter than a Hub, but not as smart as a router. A switch keeps track of each networked hardware’s MAC address so it can identify which system to send data to. This makes a switch significantly faster than a Hub, which sends data to all networked devices. A switch is a great device to use when you have to attach two or more computers in one area of a home to a router. This works by connecting the two computers to the switch and the switch to the router. 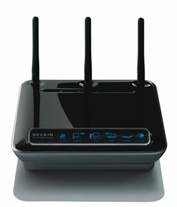 Router – A router has significant more capabilities than a Hub or a switch. It can function as a wireless access point (WAP) and/or as a switch. 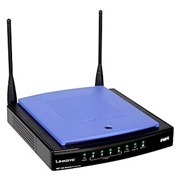 Routers are gateways to connect to two different networks; usually your Local Area Network (LAN) and Wide Area Network (WAN). The LAN typically includes all your home theater networked devices while the WAN includes the internet. A router being used to connect to the internet has a cable modem or DSL modem connected to the WAN input and multiple computers connected to the LAN inputs. See the Router section above for more info. Wireless Access Point (WAP) – Similar to a router in terms of data management, but used only to transmit/receive data from multiple wireless devices. Some wireless access points have router functionality while some only have switch functionality. USB Wireless Network Adaptor – used to add wireless networking capability to your computers. Simply attach a USB wireless network adaptor to an open USB port on your computer, and it will connect to your wireless router. Very useful when you can’t run Ethernet wires to your computer, but you do receive wireless signals. PCI wireless card – Very similar to the USB wireless network adaptor mentioned above, but attaches to an open PCI slot in a computer instead. Be aware of interference and connectivity issues since most computers are located in a corner somewhere. Powerline Networking – Powerline networks use your existing house wiring for data networking. This is very convenient if you can’t run wires throughout the house, or if you are having wireless interference issues. The downside of powerline networking is cost and the 14 Mb/s bandwidth limitation. Powerline devices need bridges from the power socket to a USB or Ethernet port. Also, keep in mind that you will need a router with or attached to powerline technology if you want to communicate with other computers in your network. This means you have to have a minimum of two powerline networking capable devices.